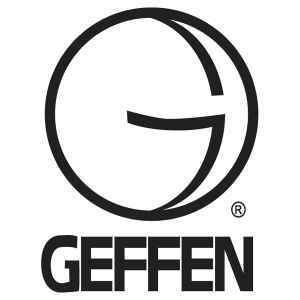 Geffen Records was started by David Geffen in 1980. Its first album was Donna Summer's "The Wanderer", its second was "Double Fantasy", the last album by John Lennon (in collaboration with Yoko Ono). It was distributed by Warner Bros. Records until 1991, when David Geffen sold the label to MCA Records. Geffen also distributed the first incarnation of Rick Rubin’s Def American Recordings through Warner Bros. Records from 1988 to 1990. At the time of its sale, it was the world’s largest independent label to have major-label distribution. In 1999, after the merger between MCA and PolyGram, which created the Universal Music Group, Geffen became a subsidiary of Interscope Records and was merged into the Interscope Geffen A&M division of the Universal Music Group. In 2003, Geffen Records absorbed the entire MCA Records catalog and roster when the MCA name was retired. In 2013, Geffen was folded to Interscope, but had since been revived in 2017 by Interscope Geffen A&M CEO John Janick. NOTE: Releases with references to DGC or David Geffen Company as a label, should be listed under DGC. Would love to see Edie Brickell's 1994 Picture Perfect Morning get a first vinyl release. have Eagles ‎– Hell Freezes Over lp ? thanks !